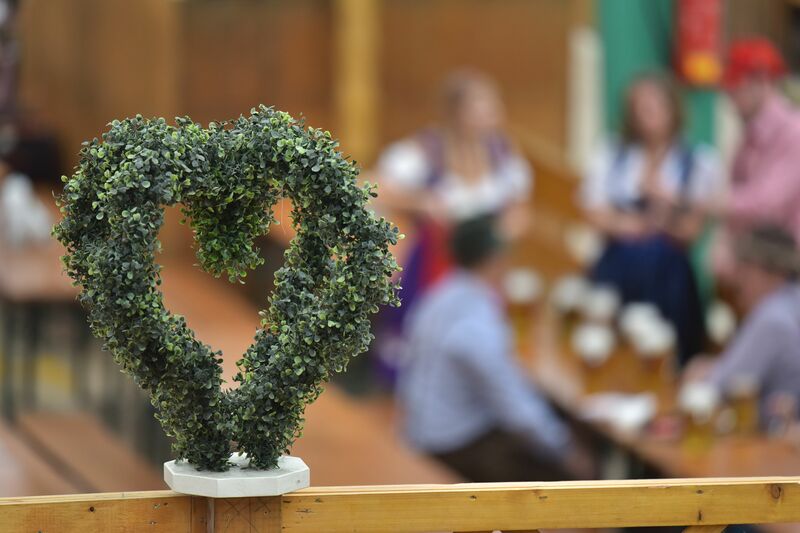 Our family has led the Armbrustschützenzelt since 1990 and has made it into what it is and what it stands for today: good food, extraordinary hospitality, a jolly atmosphere and – not to forget – the continuation of the shooting tradition. 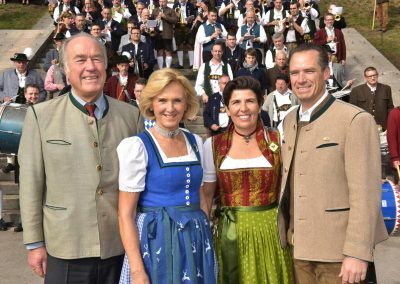 People of all ages appreciate Armbrustschützenzelt’s hospitality. The large number of regular guests returning each year prove that day after day. 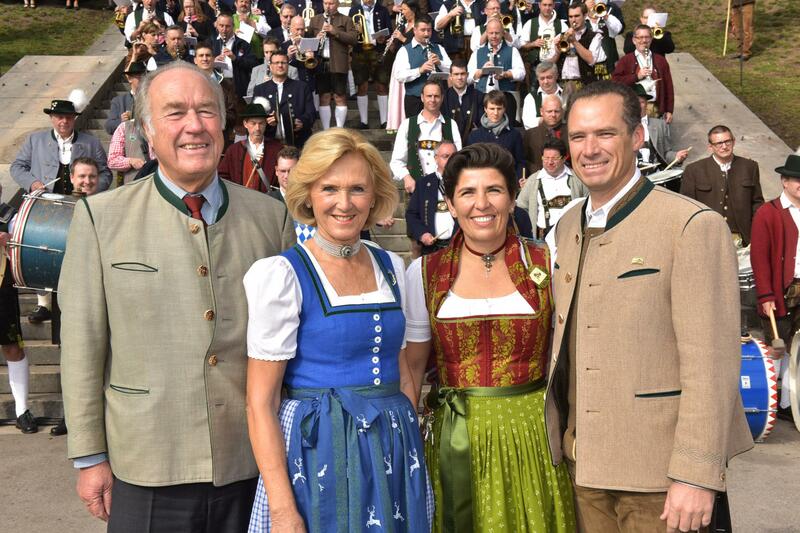 Our family also accepts its social responsibility: Each year as a tradition we host 200 seniors from Munich for a free visit to the “Wiesn”. 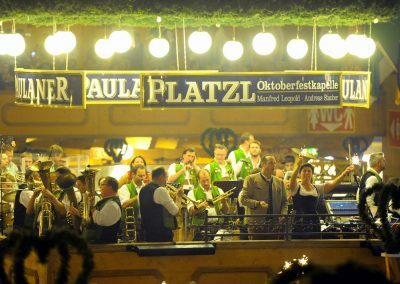 Also, we contribute an annual donation to the so-called Wiesn-Foundation, which seeks to finance social projects in Munich. 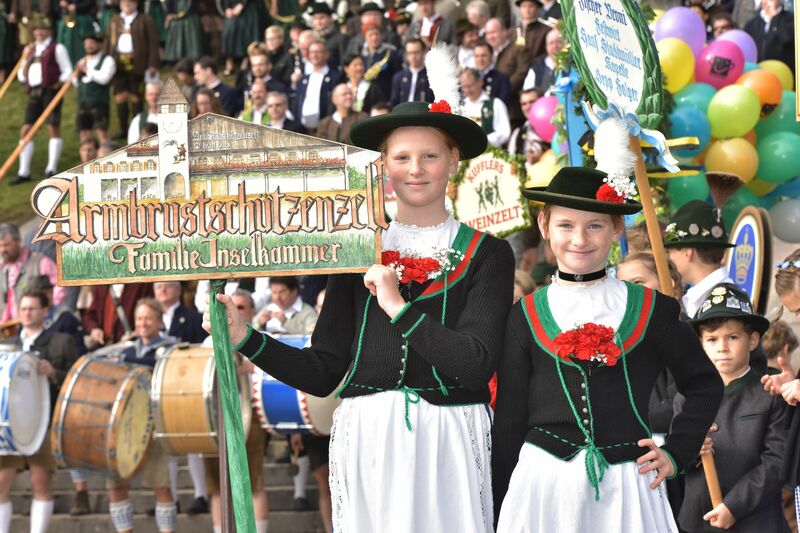 Our tent’s name has a lengthy history extending back to 1895, when the guild of crossbowmen “Winzerer Fähndl” constructed the first tent on the “Wiesn” in order to host shooters and visitors and to conduct championships. After multiple renovations and reconstructions, today’s Armbrustschützenzelt finally came to be. 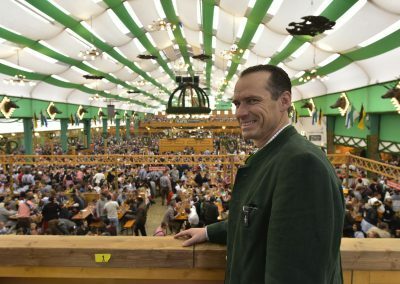 The tent’s name (in English “the crossbowmen tent”) uniquely illustrates the long tradition of the shooters on the “Wiesn”, which is why you will still find an eagle and a shooter above the main entrance today. 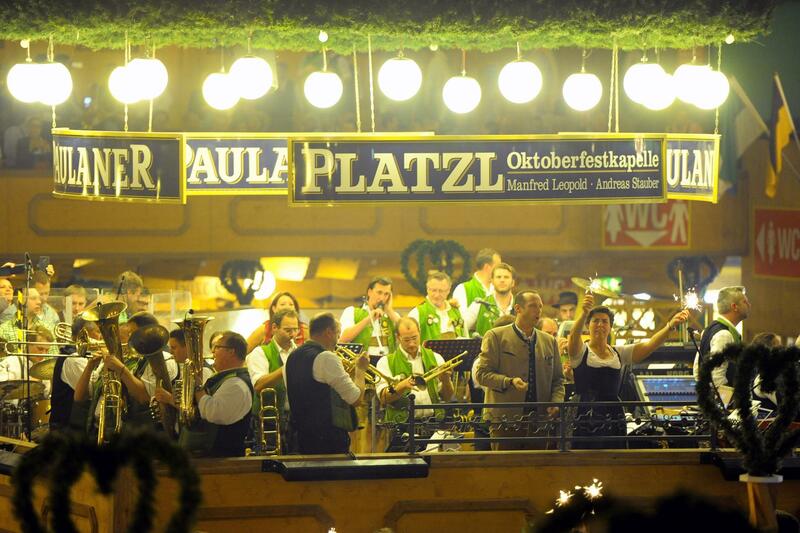 Also, since 1935 the German crossbow championship has been held during the “Wiesn”. An addition to the tent houses the 30-meter-long shooting lanes. What used to be wooden eagles has been replaced by normal shooting targets. 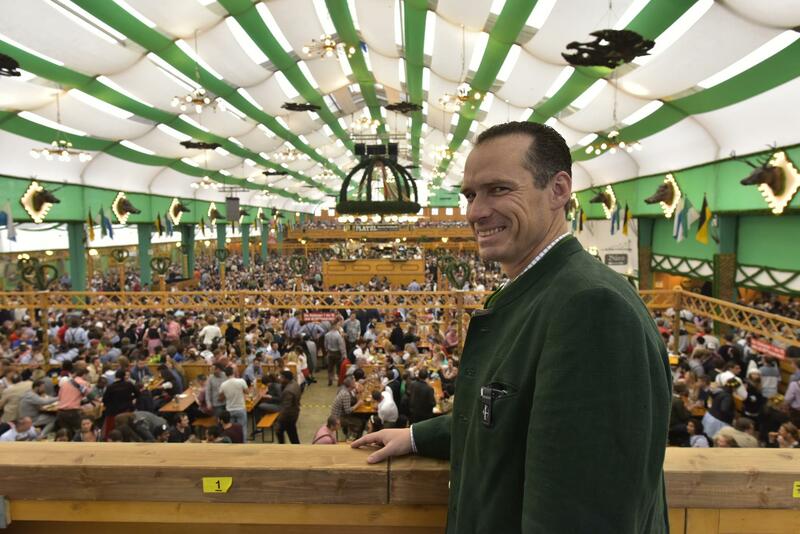 With its 7,460 seats, the Armbrustschützenzelt belongs to one of the 14 largest “Wiesn” tents. Inside the tent and on both of the tribunes you will find 5,820 seats available – most of them with a direct view of the band. 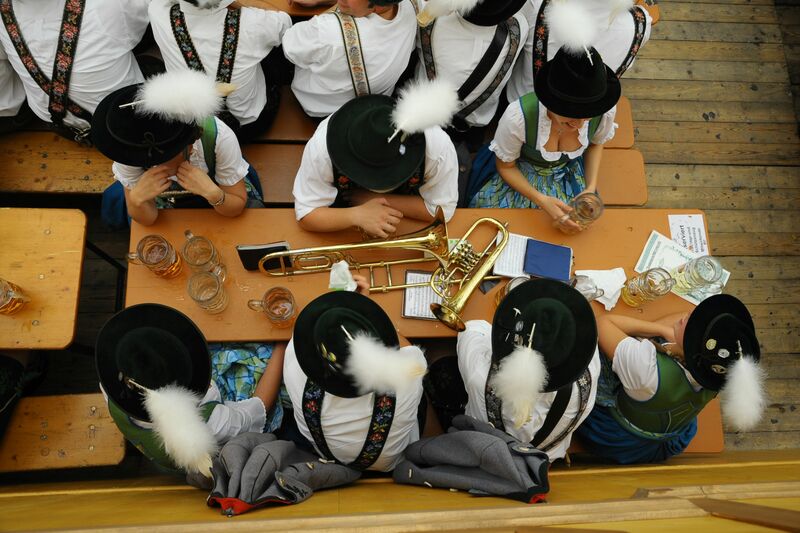 Typical of a Bavarian tent, the boxes and balconies are named after native animals, which is depicted on name plates: From A for “adler” (eagle) to G for “gams” (chamois) all the way to W for “wildsau” (wild boar). These decorative and vivid name plates make finding your way to your seat much easier even in the midst of all the hustle and bustle.